check back for more updates in the near future ! Use Windows mplayer for viewing. This is in Korean only. Sry! Sai runs simulataneous translation sessions of major titles and pro games. Or, catch Sai in Sabaki Go Club Room on KGS. Currently not looking for a new student. I am looking for a new mentor. If you are on during late evenings (EST) and would like to teach me, please send me a buzz. click on "user" link on the left hand side (LHS) and sign up. go back to KGSMentoringScheme and click "edit page" link on the LHS. add your nick with a bracket around it to the appropriate lines and save. go back to KGSMentoringScheme and click on your nick. (should be blue). click on "edit page" on the LHS. write whatever pleases you on your webpage & save. if you have problems following this instruction, please contact me in KGS via messages/chat. KGS Beginner's room website. Downloads and lots of info. 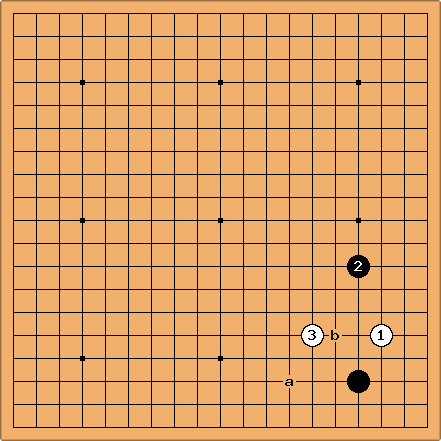 Lots of go (baduk) problems and information. Great place to shop for go related products including books. Can view pro games and more! Go teacher who is a 6d amateur. Excellent! Pro games & lots of info. 10/? ?/2004 KGS rank 9k <------ SDK !!! "Let's begin and enjoy a great game" (in English) as a replacement for yoroshigu onegaishimasu.